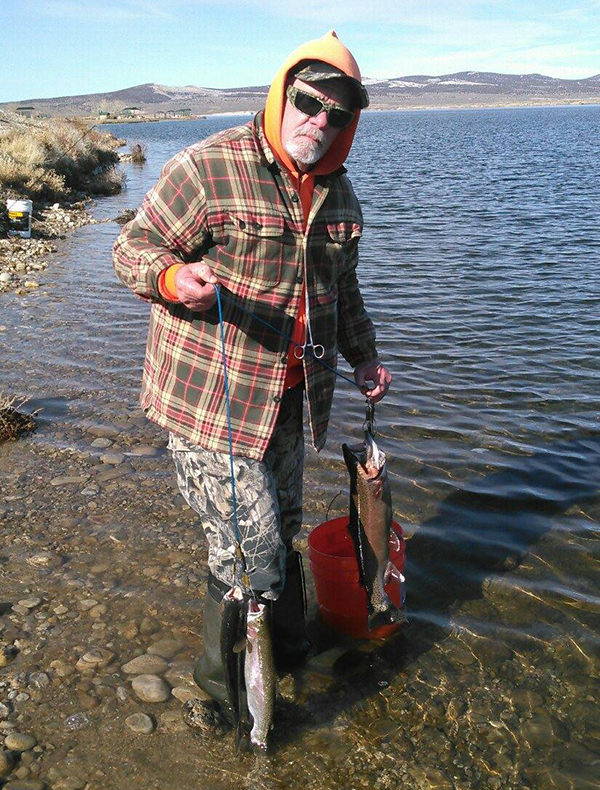 Walt Quenell of Spring Creek shows off a few nice fish he caught today at South Fork Reservoir in Elko County while taking advantage of the great weather. He said the that Sherbet PowerBait was what he caught the fish on. Fishing has been fair for numbers but good for size of fish as South Fork Reservoir is now about 90% ice free.